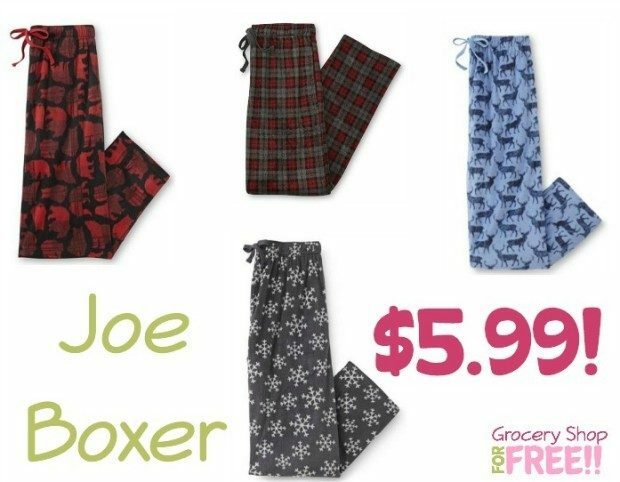 Joe Boxer Men's Pajama Pants Just $5.99! Down From $30! You are here: Home / Great Deals / Christmas Deals / Joe Boxer Men’s Pajama Pants Just $5.99! Down From $30! Joe Boxer Men’s Pajama Pants Just $5.99! Down From $30! Right now, Sears has a sale on Joe Boxer Pajama Pants, as low as just $7.99. But, you can get Joe Boxer Pajama Pants for just $5.99 at Sears! Down from $30! You can choose in-store pickup for FREE shipping! Just use code: CYBER at checkout to get yours!